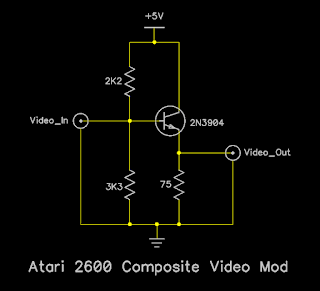 Following on from the previous Atari 2600 black screen repair, I had been asked to modify it to composite video output. 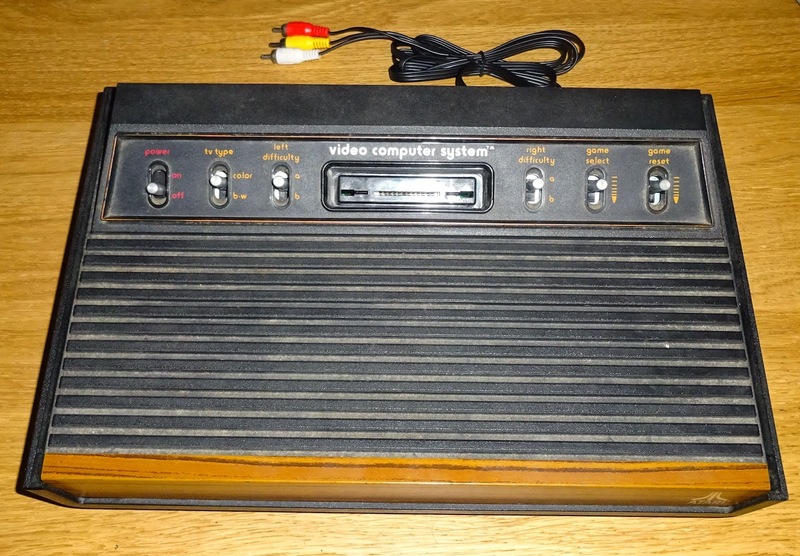 The original design has a UHF modulator which outputs the video and audio on analogue TV channel 36. 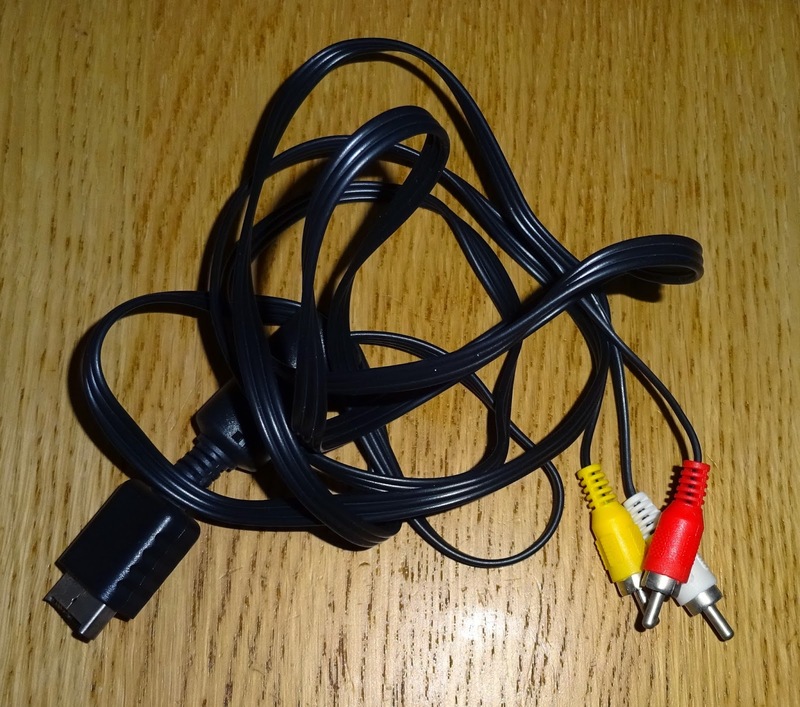 Modern TV's no longer have analogue tuners, and those that do, don't cope with the signals from old computers and games consoles too well. 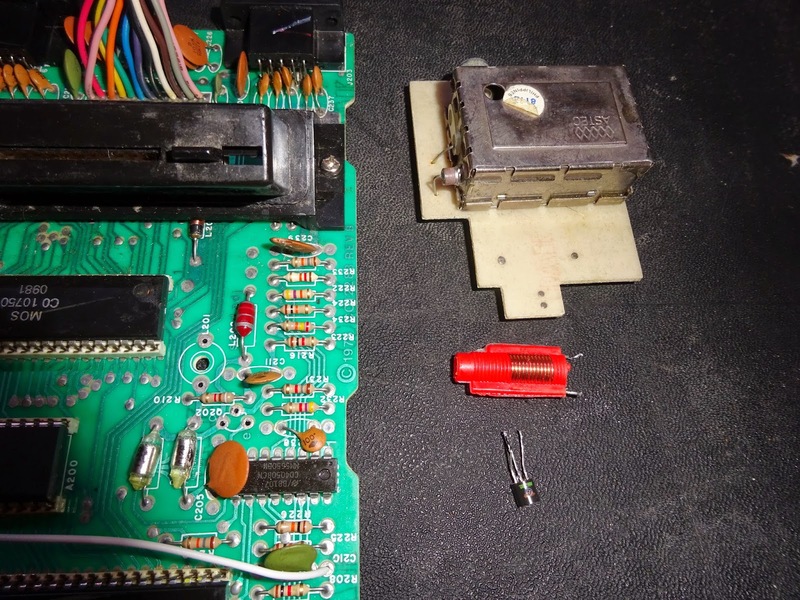 I've seen many versions of the composite video modification for a 2600, ranging from very simple (capacitor coupling the modulator input) to very complex (recombining the chroma and luma from the TIA in various ways). 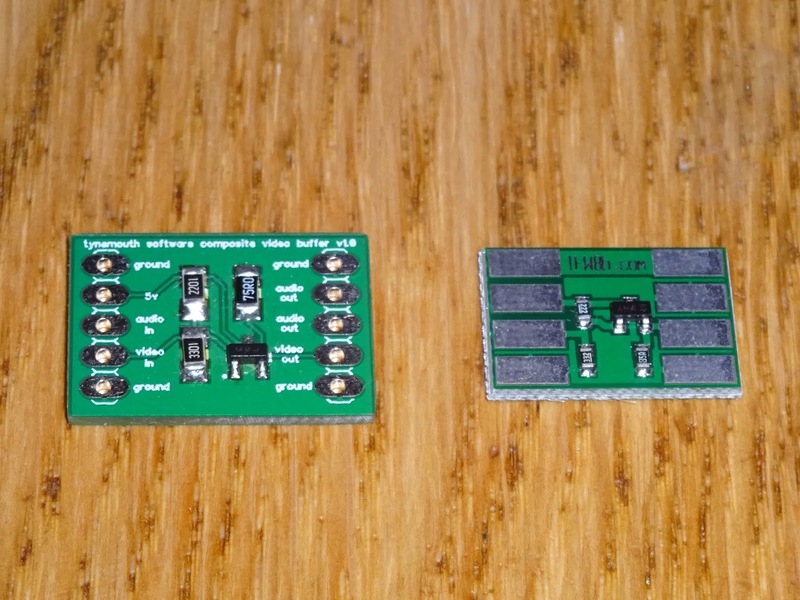 Here I went for the fairly simple version, a single transistor emitter follower circuit to boost the video signal. 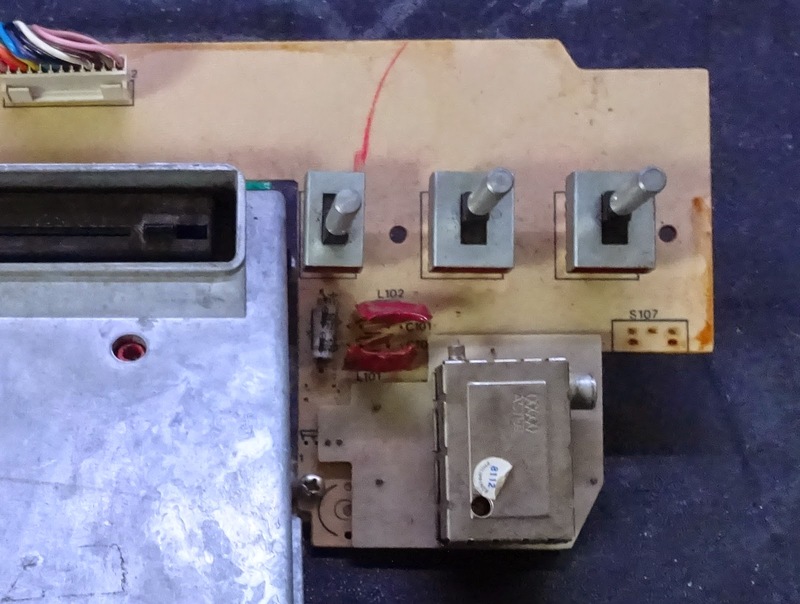 Some circuits miss off the 75 ohm resistor, but it should be there to impedance match the TV input. The transistor is a basic NPN, I used a 2N3904. 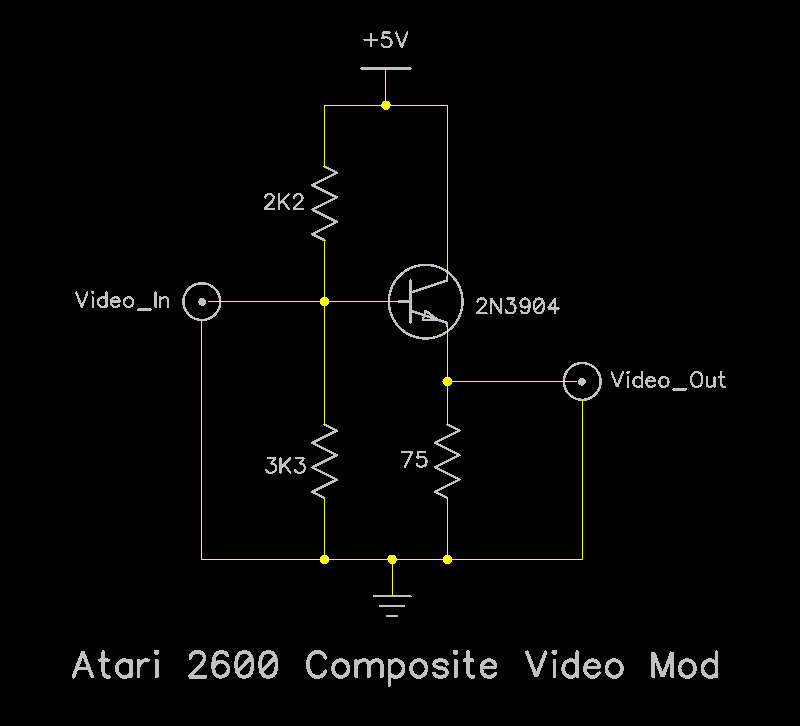 The signal which goes to the modulator is actually video and audio combined. 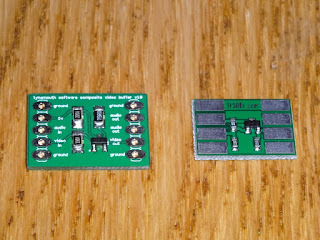 The TIA generates these separately, so it just a case of stopping the signals being combined. The easiest way to do this is to remove the parts which combine the signals. There are various suggestions as to how this is done, the chief part is Q202. The signal seems to be improved by the removal of L201 as well. The audio is then tapped off separately, There is a spare pad to the side of C120 which has the audio signal on. Ground is taken from a convenient point nearby, I chose side of C238. This wire is then fed out of the metal box. That is then connected to both the left and right audio outputs. 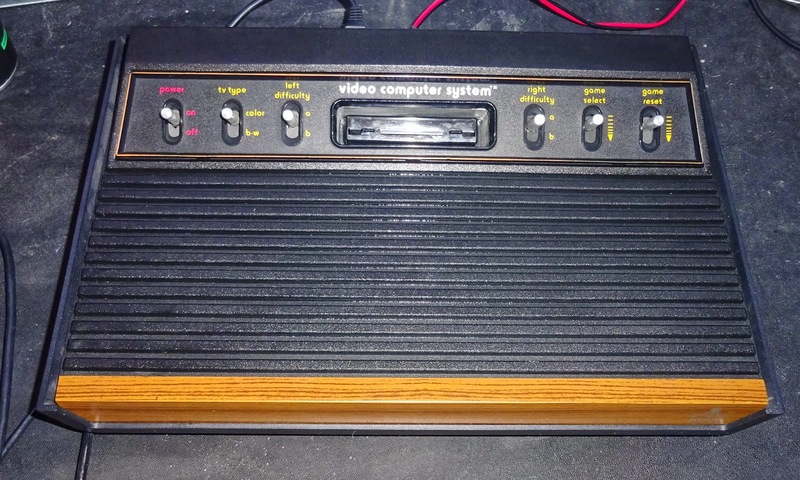 That leaves only video on the signal going to the modulator. 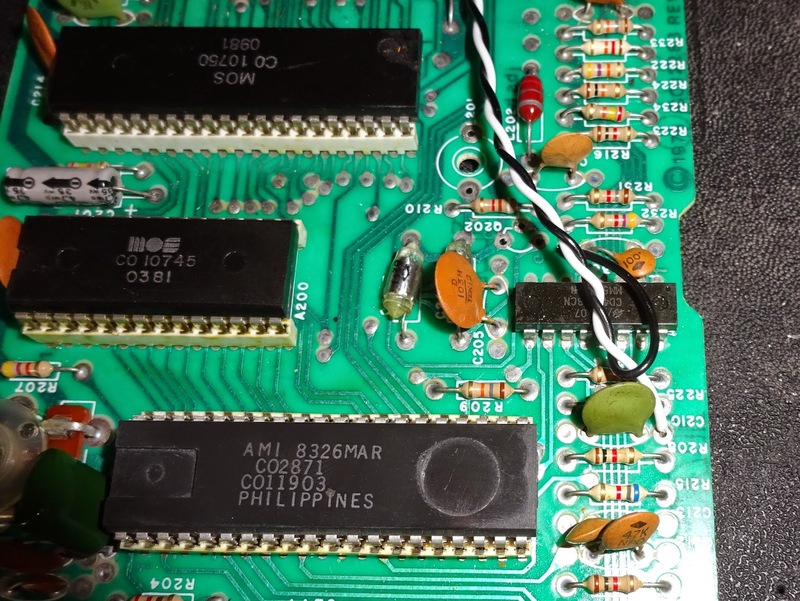 That can now be removed, and the 5 pins next to it carry 0V, 5V and video. I built the circuit on a small piece of padboard and fixed that where the modulator used to be. I had left space on there in case I needed to go for a more complex circuit, but the basic one worked well. 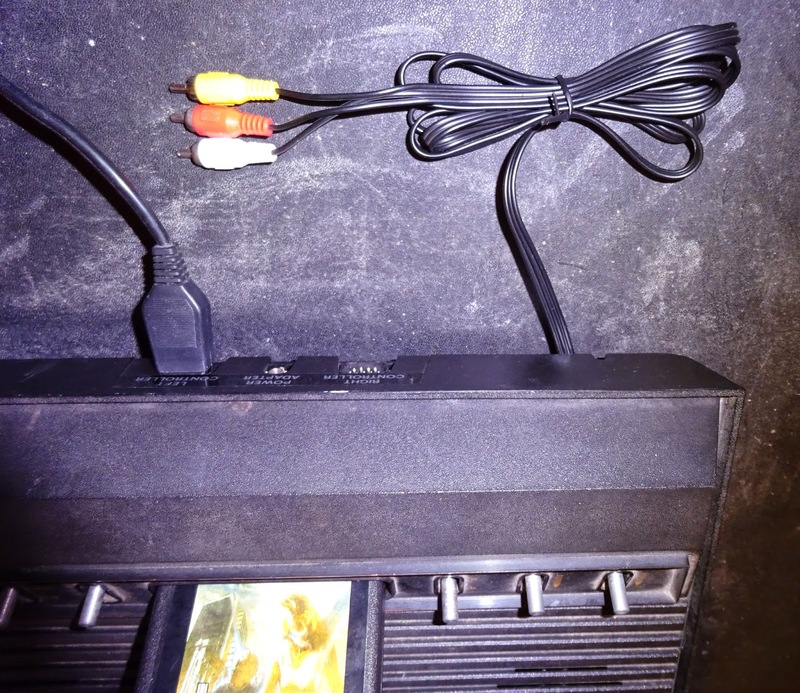 You could drill holes in the case and mount phono sockets or a scart socket, but I went for running a cable out of back, and started with an old composite video lead, I think this was from a PS2? Notice the large moulding at the connector end. This would normally be a ferrite to reduce interference. In this case, it appears they have just gone for the plastic shell to give the appearance of a more expensive cable. Nice touch. 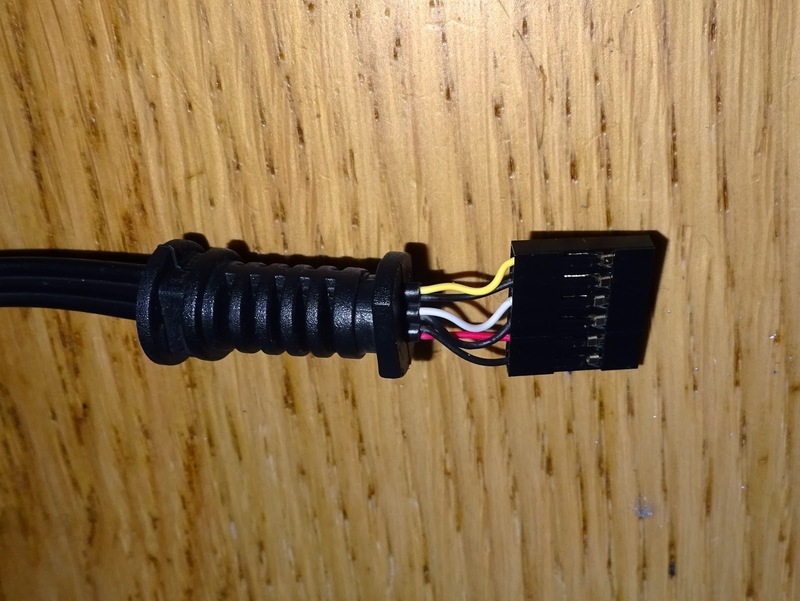 That wasn't a problem here, as I just needed to cable, and it was a bonus that the ends were nicely tidied up so I just needed to remove the original connector and crimp on a 6 way header for my board. 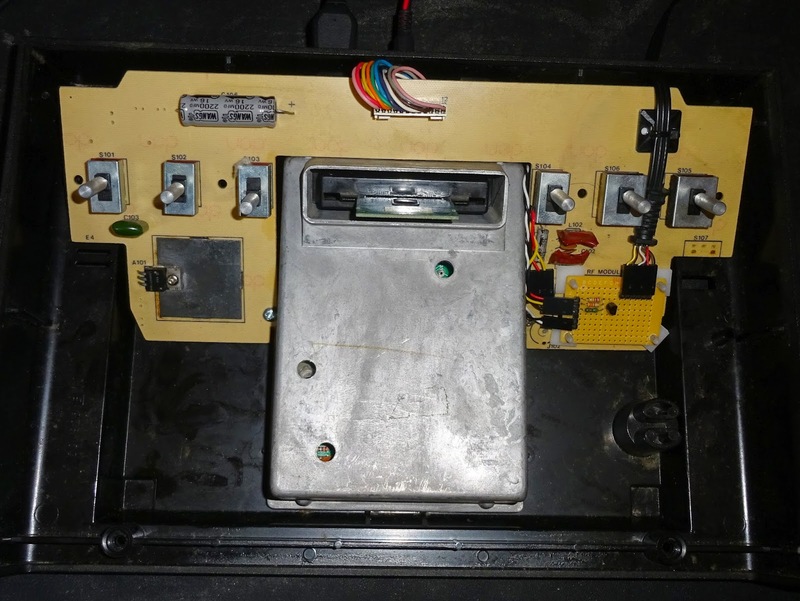 The cable then runs out the case where the original RF lead went, quite a neat (and reversible) mod. This now gives a very good picture on a modern LED TV. 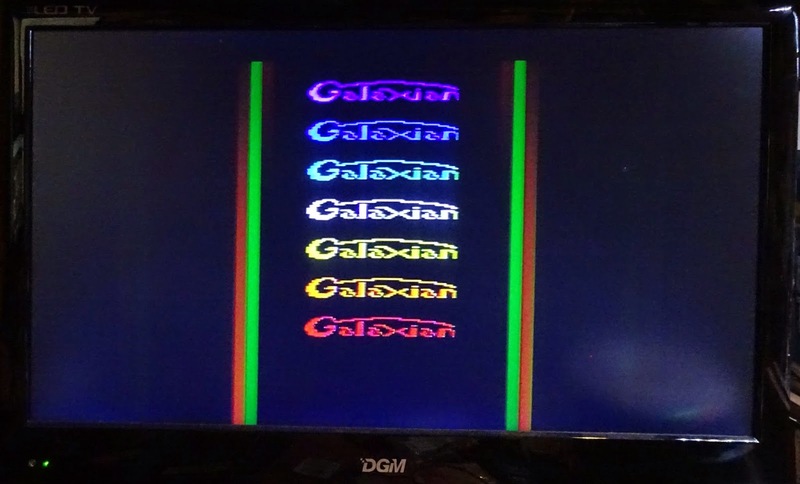 I had to adjust the colour timing slightly, I used Galaxian running on an emulator as a reference to get the rainbow colours right. Composite will never give as crisp a picture as the high resolution digital connections like HDMI, but it's very usable. 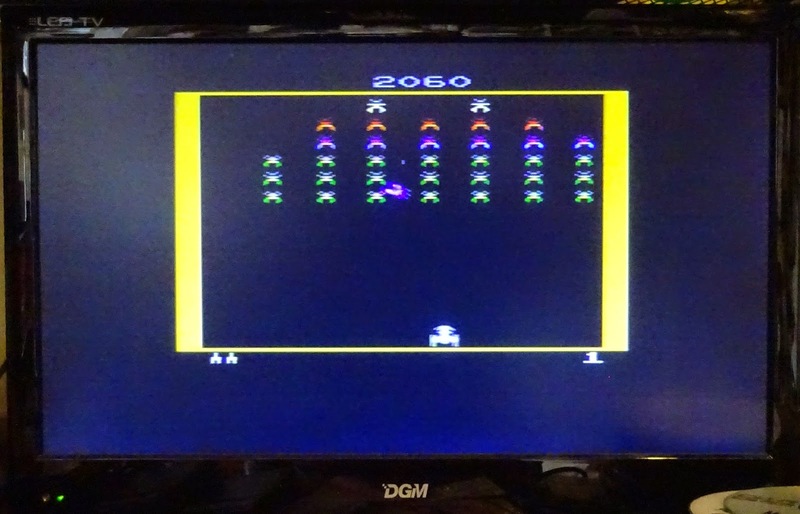 Ah well, more testing on Galaxian to do, Atari Space Invaders seems very slow in comparison, Galaxian plays very well. 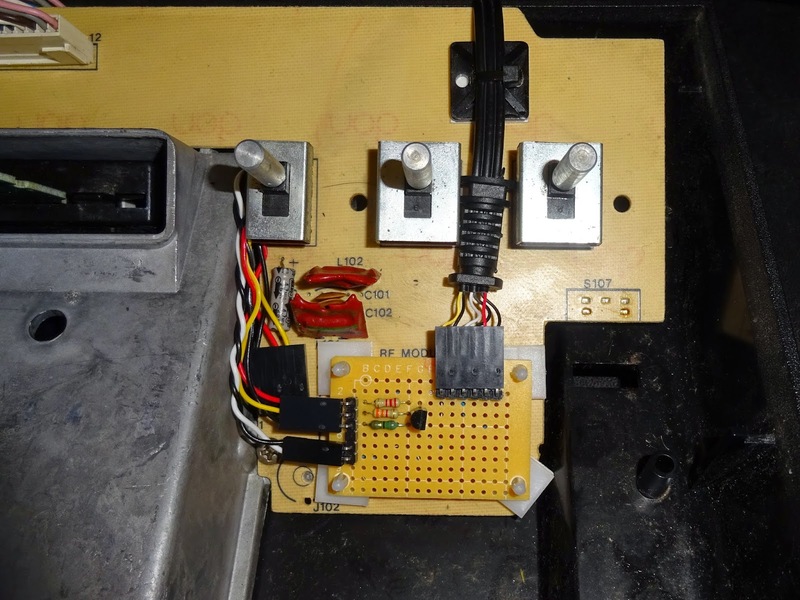 One Atari 2600, repaired and upgraded ready to go. I have designed a PCB for this, and a version is now available from The Future Was 8 bit.